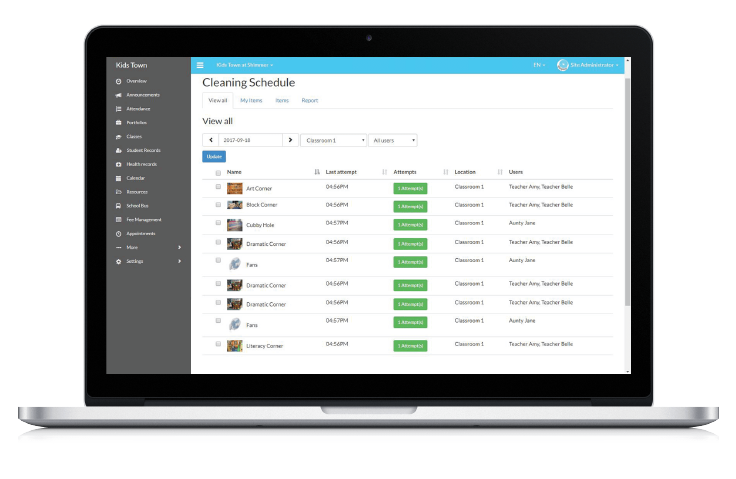 Organize student information on the go. 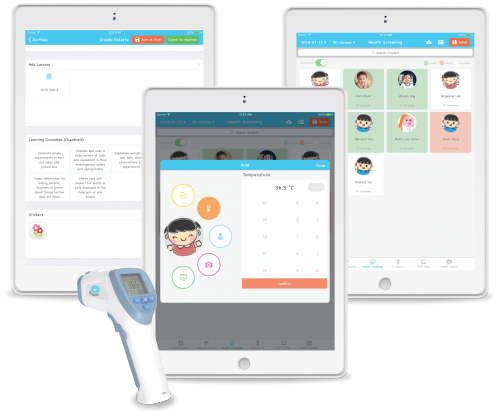 Stay updated on student matters through modules such as Health Records and Attendance Reports. 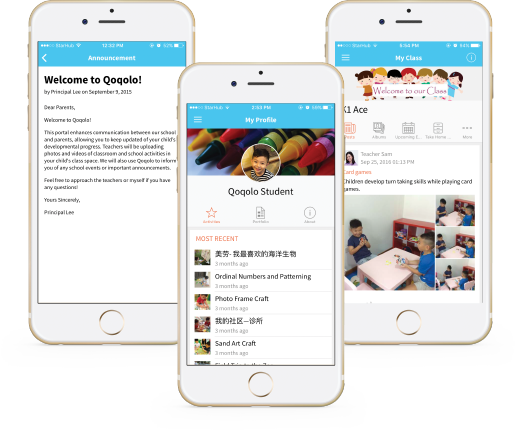 Built-in intuitive two-way interaction platform for teachers and parents to share class activities and learning materials, push announcements and set parent-teacher conferences. 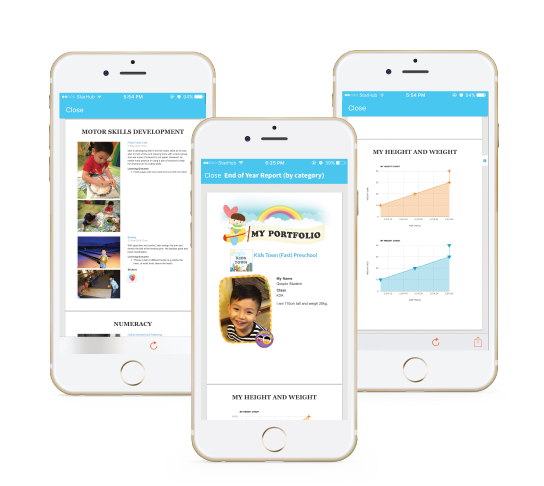 Conveniently capture your child's learning journey for observation, and progress monitoring. Add a few clicks to generate reports to track learning observations. Manage day-to-day operations efficiently with modules to assist you in monitoring and planning for centre development. Paperless management of all employee information; effectively roster staff and allow them to conveniently schedule training or apply for leave. 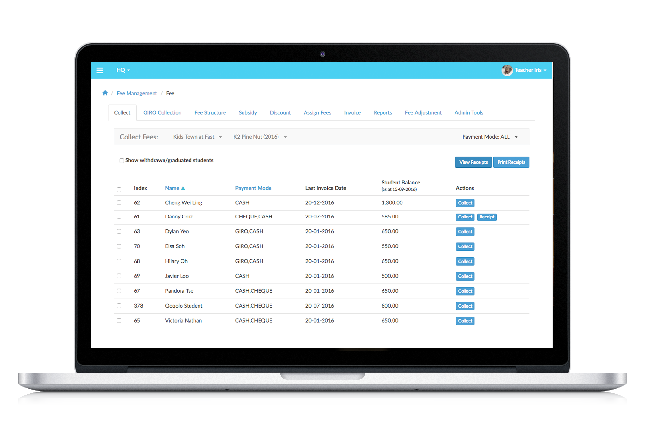 Manage fee structures, assign subsidies and generate invoices and receipts seamlessly.